Grade : good Fine to VF. The small nick at the top is a casting flaw, and part of the original manufacturing. Size : 65.5 mm. Weight : 66.5 grams. 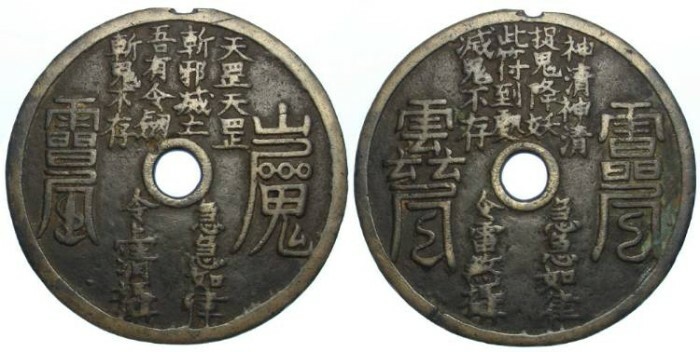 Obverse and Reverse : Chinese inscriptions which I have not yet been able to translate. While they look similar on both sides, they are different inscriptions.